This is a die-cut Sunheat Furnace Oils porcelain sign. 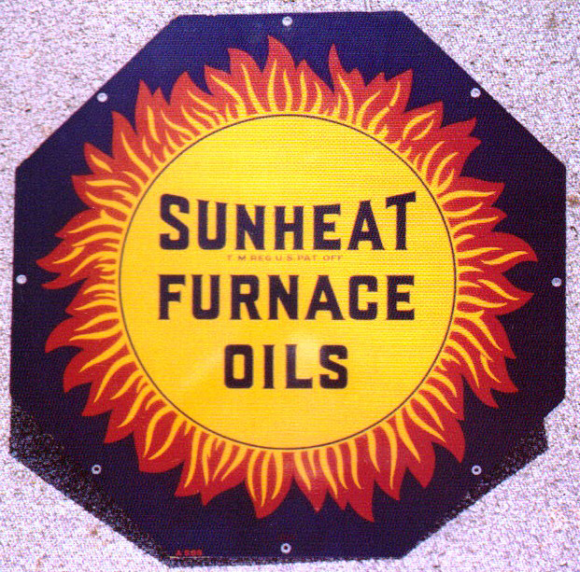 This particular Sunheat Furnace Oils sign is black and yellow with black text. It reads, “Sunheat Furnace Oils” and features a yellow sun with red rays against a black background.